Do you ever have a recipe that you make and you can’t wait to have it again? 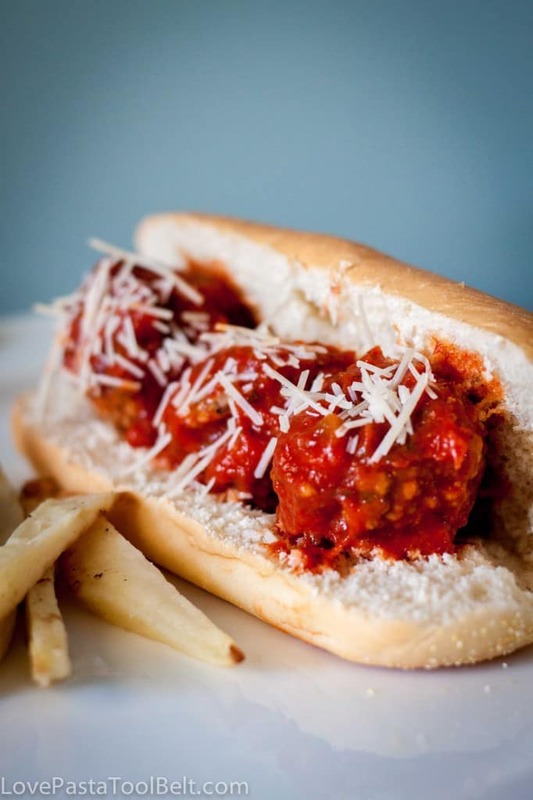 This recipe was that one for me, Homemade Meatball Subs, oh my gosh were they good! As I prepare to post this one I am already planning when to put it on my menu again. I love a good meatball sub but sometimes when I’m ordering them from a fast food place I kind of wonder what’s in them. So the other day I decided to try out these meatball subs that my mom always makes. These were so delicious. I had a hard time stopping myself from just eating the meatballs plain, they were seriously that good. They were also incredibly easy to make which for me is a huge plus. I hope you all will enjoy these as much as we did. They will definitely be on our menu again soon. I’m even trying to dream up some sort of stroganoff to use the meatballs in and if you have leftovers they are perfect for spaghetti and meatballs. I love a meal that I can make into two meals. So tell me do you have a favorite sub recipe? My family loves meatballs subs! Thanks for sharing. I’d love to have you stop by Family Fun Friday and link up with us. Thank you for coming by, I will try to stop by the party. These look amazing! This is my mom’s favorite kind of sandwich, so I will be passing this along to her! MMM YUM! 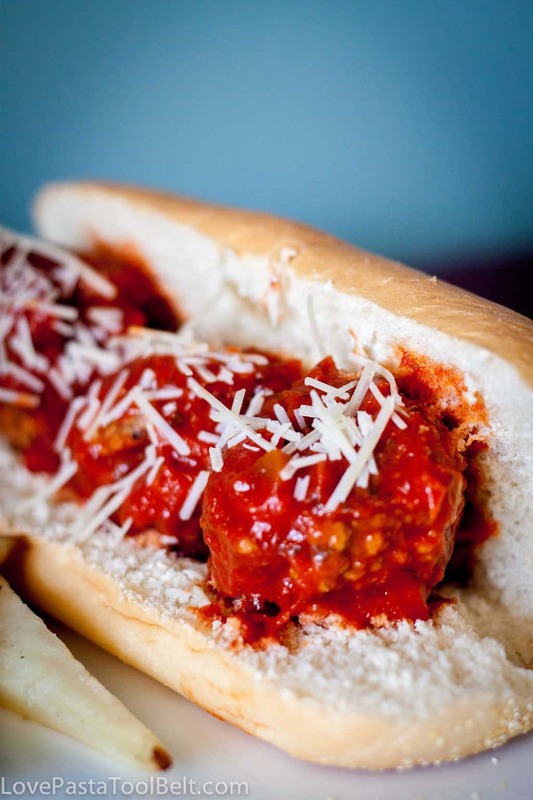 I make the meatball sub wo the bread… LOVE IT and can eat too many. No joke, these are going on my menu this week. I’ve been struggling for ideas and this came at the perfect time. I hope you enjoy them! We love them. These look and sound delicious! I love meatball subs. I have pinned this. My husband is a huge meatball sub fan so he would love this! Yum! These look amazing. I’ve actually never made a meatball sub before and have probably only had one once in my life. These looks easy and like the meatballs would be perfect to freeze for a quick supper. These are so good! I hope you enjoy them. 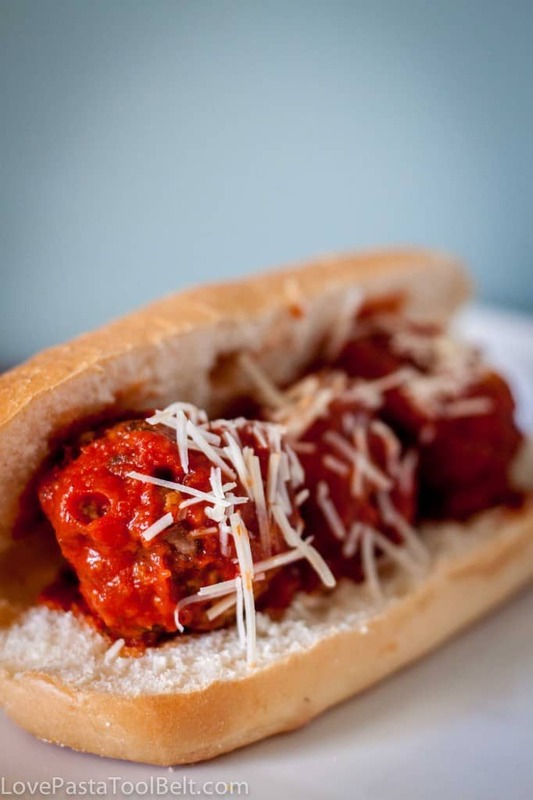 I was just thinking about meatball subs today and this popped up on pinterest! And to think I was almost tempted to head straight to the Olive Garden. Typically my meatballs taste too, um, meat-like….if that makes sense. So I can’t wait to give yours a whirl! These meatballs are so delicious. I hope you enjoy them! These look delicious! Pinning now! I would love for you to share this recipe on my Tasty Tuesday recipe link up here! 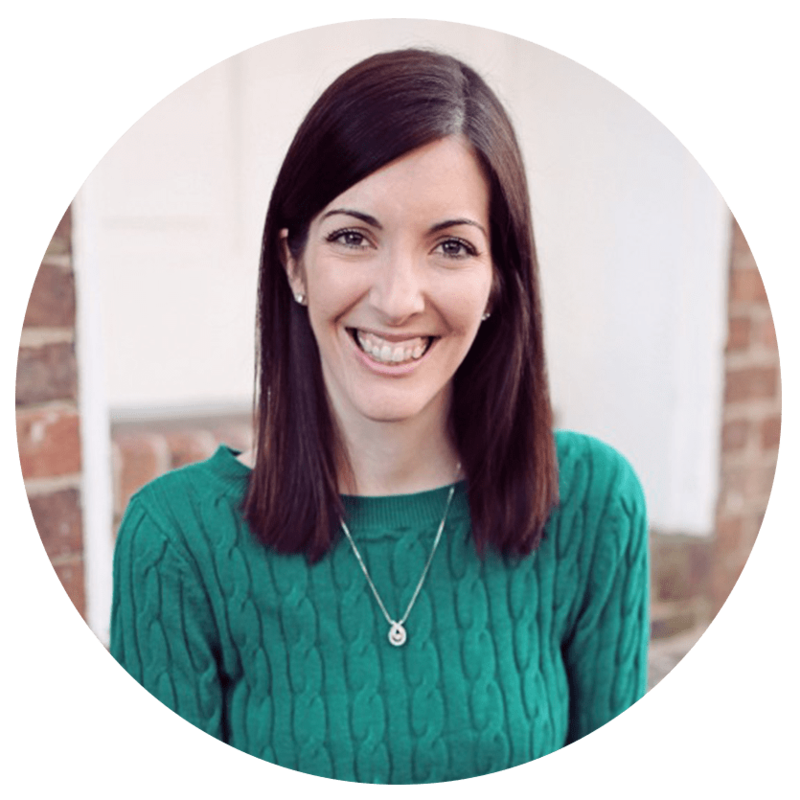 Thank you for pinning! I will try to check out the party! Meatball subs are a family favorite at Subway. I don’t know why I never thought of trying to make them myself. You have persuaded me to do so. PINNED! Thanks. Thank you for pinning. They are delicious!